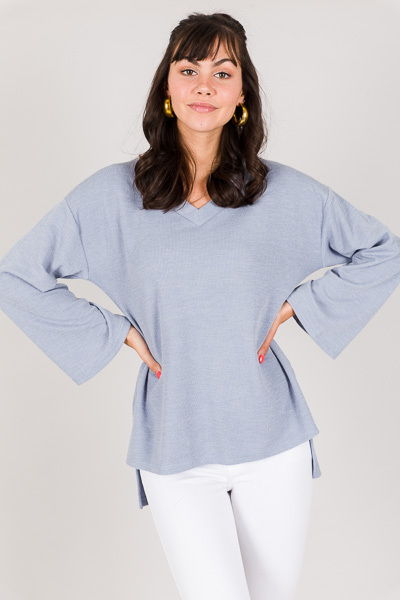 Incredibly comfy and chic meet in this top! 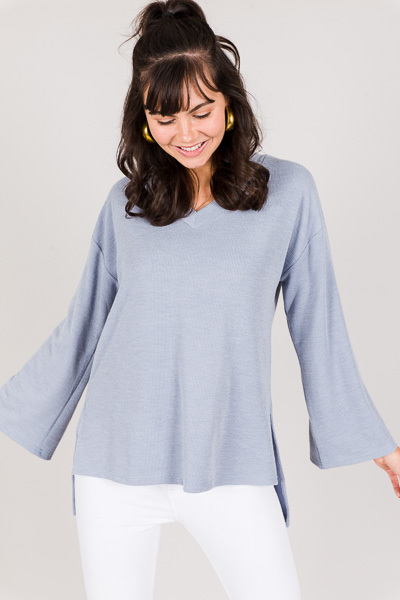 Bell-sleeves paired with a ribbed texture will have you looking AND feeling good. Fabric is a rayon-blend with plenty of stretch.